World of Tanks to deploy on consoles? Free-to-play shell ‘em up World of Tanks could potentially make tracks onto consoles, according to an interview on Polygon. Speaking to the site, wargaming.net’s vice president of global operations Andrei Yarantsau also commented on the sleeper enormo-franchise’s expansion plans for other military vehicles. World of Tanks glacial combat and in-depth customisation could potentially work on consoles, and it’s one of the few online shooters that could support cross-platform gaming. But it’s also going to be a big job – the game’s BigWorld engine has never been ported to consoles before, and there are lots of netcode and balancing issues to contend with. 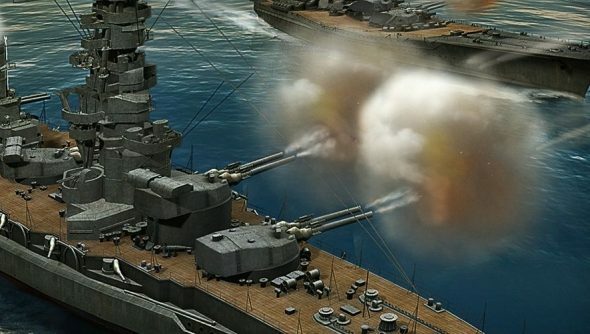 World of Tanks follow-up World of Warplanes in currently in global alpha testing, and World of Battleships is in development. Battlefield-style cross-vehicular play is a natural feature gamers would like to see, but Yarantsau said that the games’ various specialisations will prevent tanks taking on warplanes.